CLICK HERE to get your print­able coupon to save $3.00 OFF on Extra Strength Tylenol Cold & Sinus from Livingwell.ca Canada. 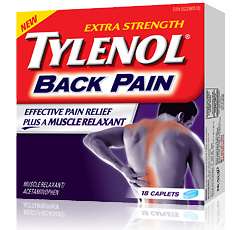 CLICK HERE to get your coupon for $10.00 OFF for Tylenol Back Pain (40ct) from Liv­ing­Well Canada. Thank You once again Wally2009 for shar­ing this coupon. 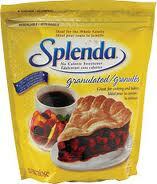 CLICK HERE to print your coupon to save $3.00 OFF Splenda Gran­u­lated Sugar from Livingwell.ca Canada.Thank You Wally2009 for shar­ing this awe­some coupon. CLICK HERE to get your print­able coupon to save $4.00 OFF on Tylenol Ultra Relief from Liv­ing­well Canada. Click here now to save Save $3.00 on Extra Strength TYLENOL® Cold & Sinus (Day­time 20s, Daytime/Nighttime 20s, Day­time 50s, Day­time 80s) from Liv­ing­well Canada! 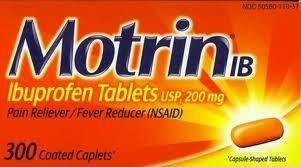 Click here for your free money-savings print­able coupon from Liv­ing­well Canada to Save $5.00 Off Motrin Pain Reliever now! Thanks again to Wally2009 for shar­ing this awe­some coupon with us here at CoolCanucks! !